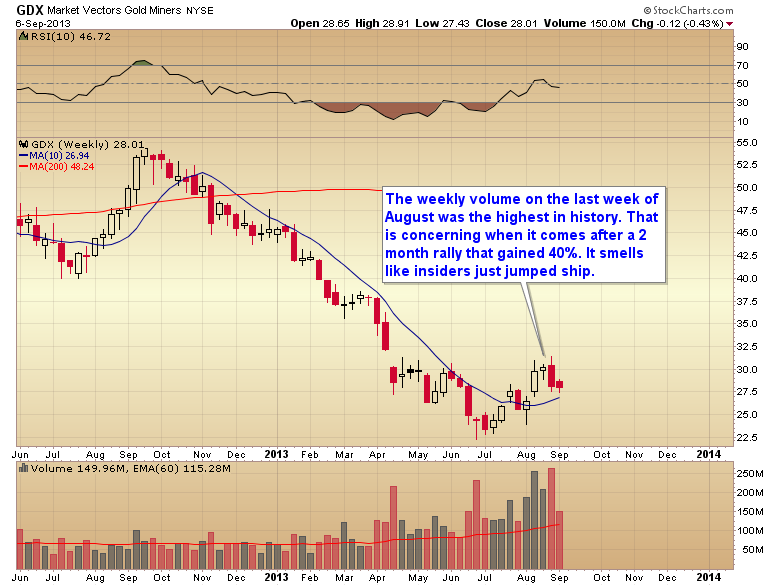 Is manipulation in metals about to begin again? The answer to the question above unfortunately is maybe. There are definitely warning signs springing up. 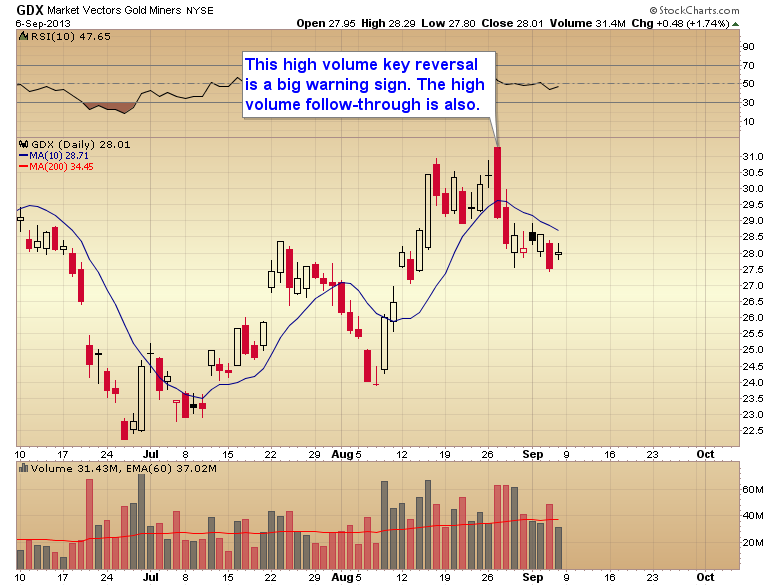 The first sign of trouble popped up last week when the miners generated a key reversal on huge volume and on a day when gold was actually positive. Something about that day smells very fishy to me. It looks like big-money traders had advance notice that a false breakout to new highs was going to be manufactured to give insiders an exit after a two-month 40% rally. The high volume follow-through the following day confirms that something is not right. Looking at the weekly chart only confirms my suspicion. The last week of August was the highest volume week in GDX’s history. When that kind of volume appears at the top of a two-month rally, after a 40% gain, there's a good chance its signaling smart money just snuck out the back door. We should only see this kind of volume at the bottom of a serious decline, not the top of a two-month rally unless something is wrong.